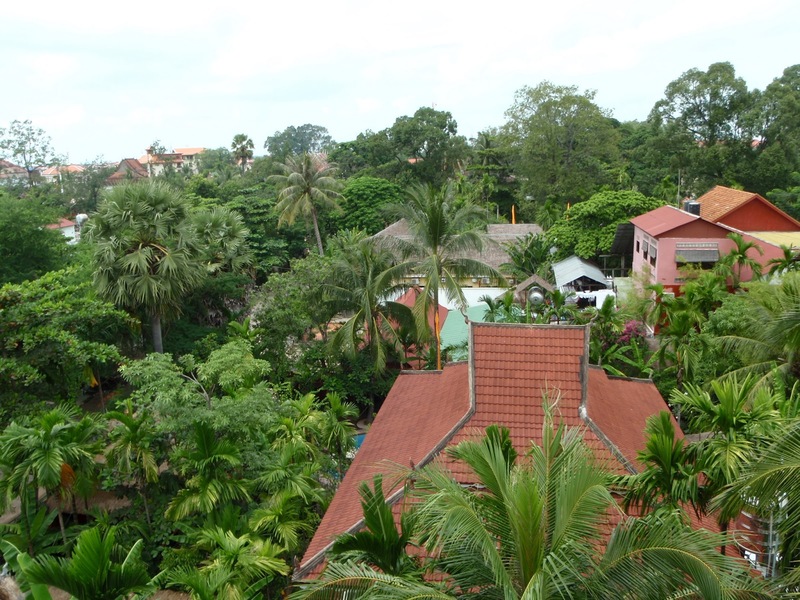 The location of this boutique hotel is at the outskirts of the Seam Reap town, which is a mere 10 mins walk from the pub street. One will find the location is ideal as one will not be disturbed by the noise from the town centre, yet still within reasonable walking reach of the town centre. There isn’t much choice when it comes to food at this area of the town, however due to the close proximity to the town centre, food options are still abundant. 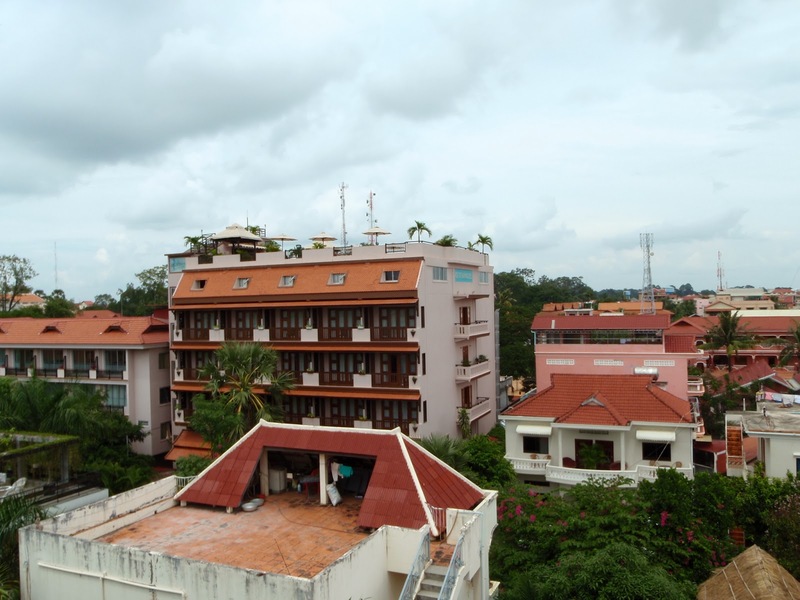 The 38-room hotel is housed in a 4-storey building. The room I stayed in is a double-deluxe room. The rate comes with breakfast and complementary airport pick-up and drop off. The room features a sleeping area and a bathroom. It was simply furnished with a queen sized bed and the sleep comfort on the bed was alright, did its function by providing me with a decent sleep. 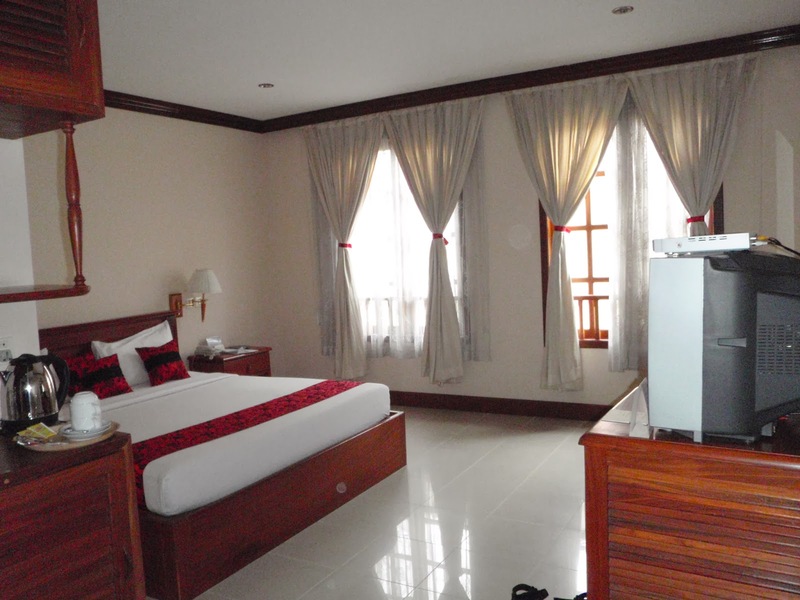 The air conditioning in the room was good, provides one with the much needed cool air amidst the hot and humid weather in Siam Reap. The sleeping area has a CRT TV and a corner for refreshments. The mini bar was tucked nicely into the shelving of the room, right below the refreshment corner. The size of the room is rather big and there are ample room for one to lay their luggage. The room is very clean, despite the dusty environment just outside the hotel. 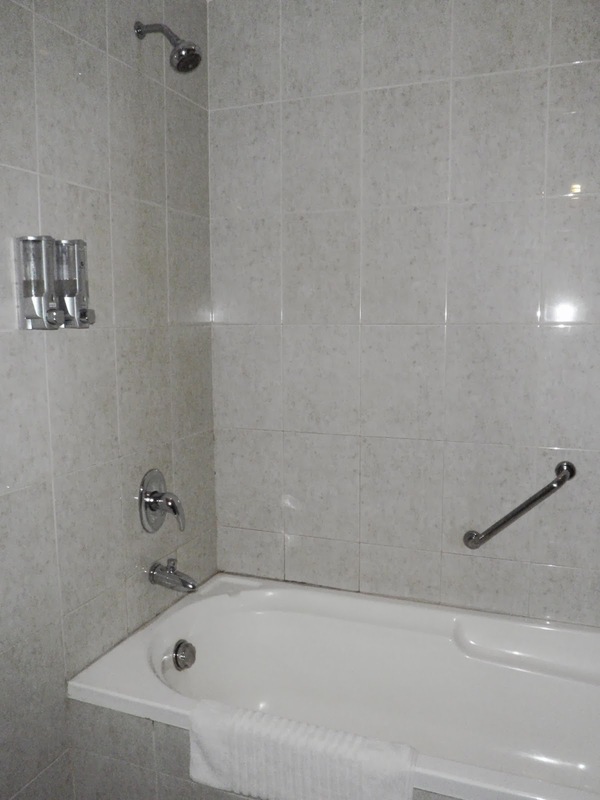 The attached bathroom comes with a bathtub. However the water was brownish when I turned it on for a soak. I went to the reception and highlighted the issue, the staff at the reception advised me to leave the tap on for 5 mins and the water should turn clear. I went back to the room and did that, the water was still brownish after 20 mins of leaving it on. The bathtub is just nice for one and provides one with a good soak after exploring the ruins of the Ang Kor temples. 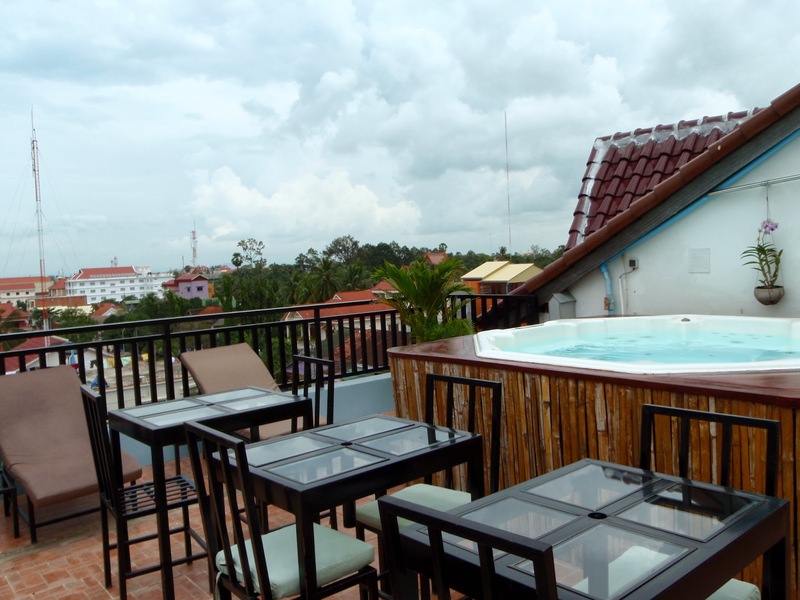 The hotel has a roof top bar and a jacuzzi at the roof top. 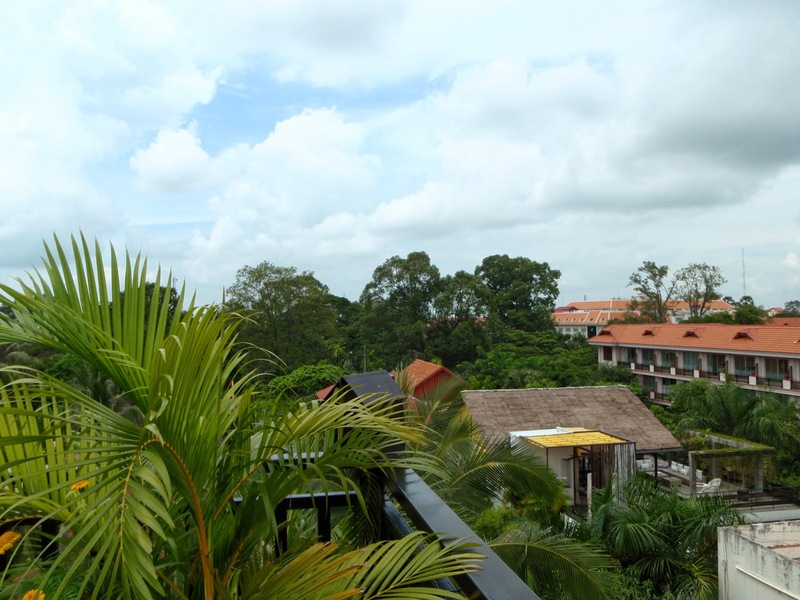 From the roof, one can see the surroundings. 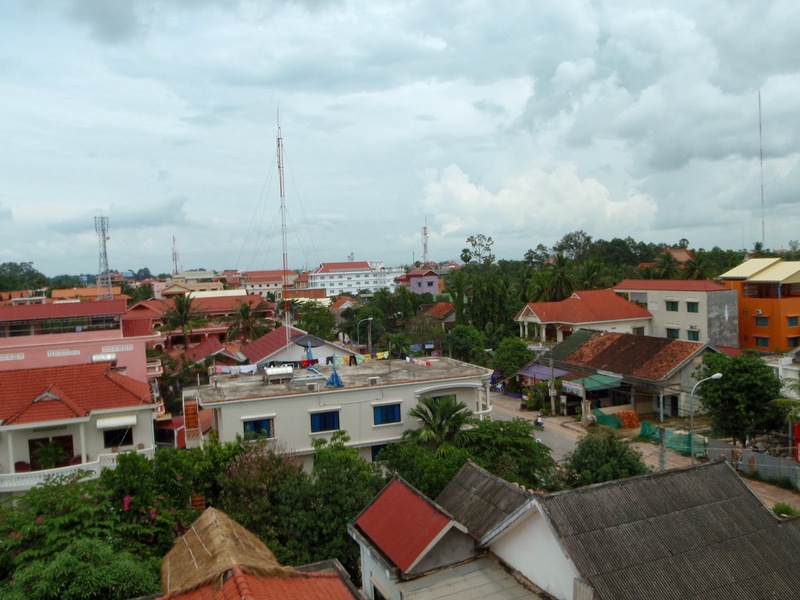 Most of the buildings in Siam Reap are rather low rising, hence from the roof one can see most part of the town. Throughout my stay here, I found only 2 of the staffs were friendly and knew exactly what they were doing. They were generous in their recommendations on activities and dining options. Other then these 2 staffs, the rest of the staffs displayed a “couldn’t care less attitude”. It is obvious that they are here to just do their job and not concerned on whether they do them well. I did not detect any sincerity with the rest of the staffs, other then the two I met. Attitude from the rest of the staffs can be seen when I approached to comment about the brownish water in my room. The staff on night shift merely advise me to leave the tap running for 5 mins and did not bother to check back how the situation was. This has shown the staff did not take ownership of the problem, I returned some 30 mins later, after leaving the tap on for another 20 mins to find the water is still brownish, the staff only gave me a blank face and did not offer to get the maintenance staff to check nor did she offer to swap room for me, until I asked for it. Despite asking for room swap, she did not even offer to see if I needed help to do the room swap. 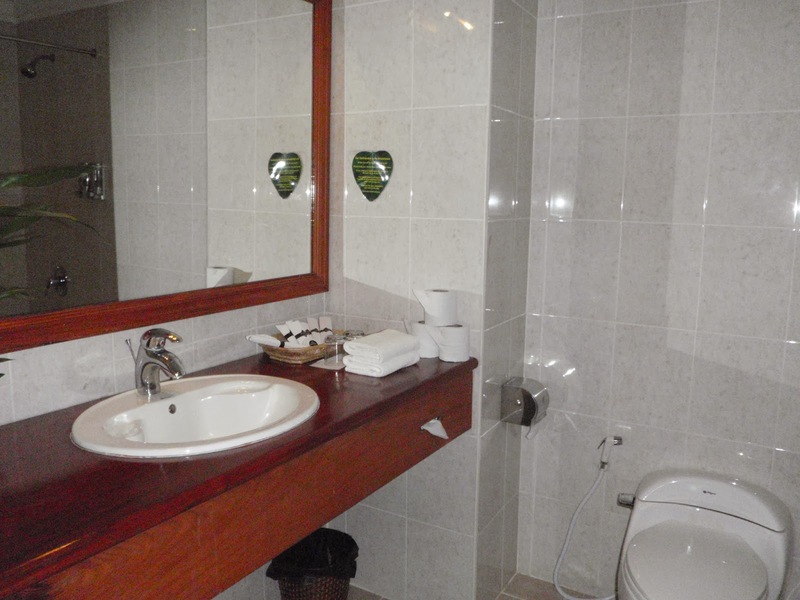 The hotel has some decent hardware, but when it comes to heart ware, it is severely lacking, little wonder only one or two staffs showed pride in their work, where the rest of the staffs simply couldn’t care less. My encounter with the female owner is good sign of why only a couple of the staffs displayed interest in their work, where the rest was just lukewarm to patrons. I will not recommend anyone to stay here, as I firmly believe service is more important then hardware of a hotel.